The AMIS SIG session on Apache Kafka (9th February 2017) took 25 participants by the hand on a tour of Apache Kafka. 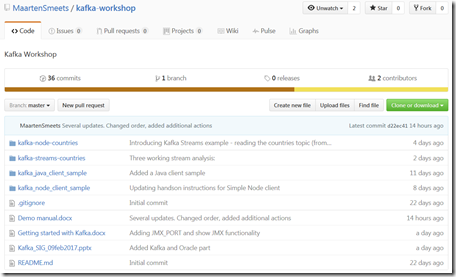 Through presentations, demonstrations and a hands-on workshop, we provided a feet-hitting-the-ground-running introduction to Apache Kafka and Kafka Streams as bonus. Responsible for this workshop are Maarten Smeets and Lucas Jellema. 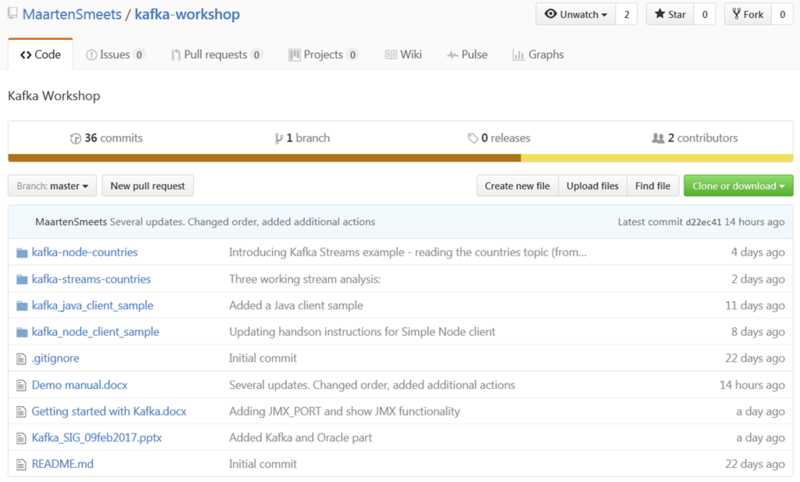 The workshop discusses Hello World with Kafka, interacting with Kafka from Java and Node.JS, Kafka REST proxy, Kafka Streams, under the hood: partitions, brokers, replication and Kafka integration with Oracle Service Bus and Oracle Stream Analytics.